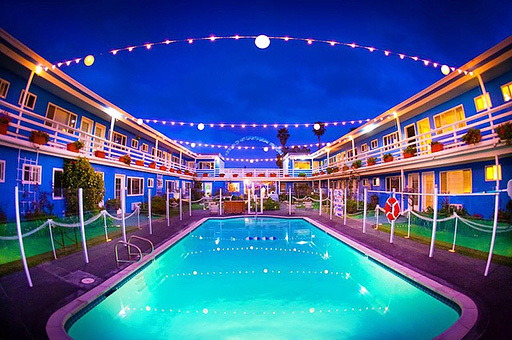 One of only a few San Diego hotels truly located on the Pacific Ocean, just steps away from Ocean Beach. Originally built in the 1950’s, 2011 remodel, the 24 room inn creates a tranquil and relaxing atmosphere to accommodate any San Diego visitor. Almost a brand new hotel with the largest deck on the entire US western coastline! Designed after Santorini, Greece. Inn at Sunset Cliffs is truly one of the only San Diego beach hotels that is actually a waterfront hotel.